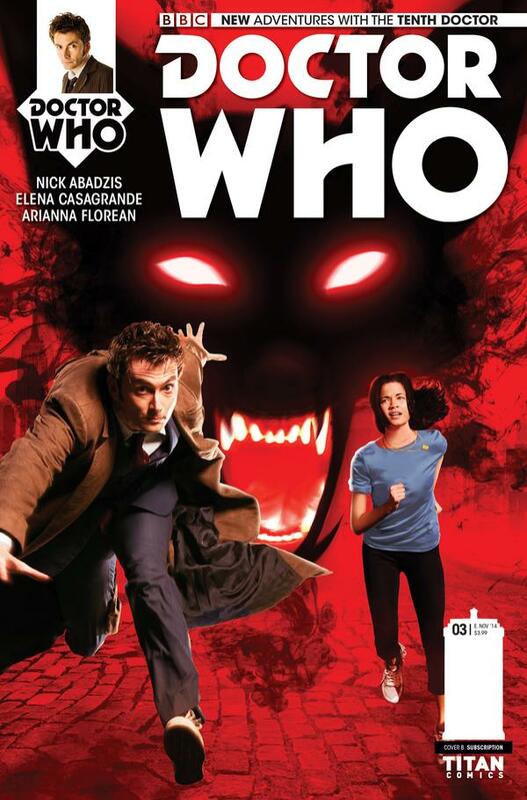 The thirds issue of Titan Comics’ New Adventures With The Tenth Doctor is out this week. 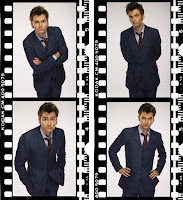 Aside from the two graphic art covers, and there is a subscription only photo cover to collect. 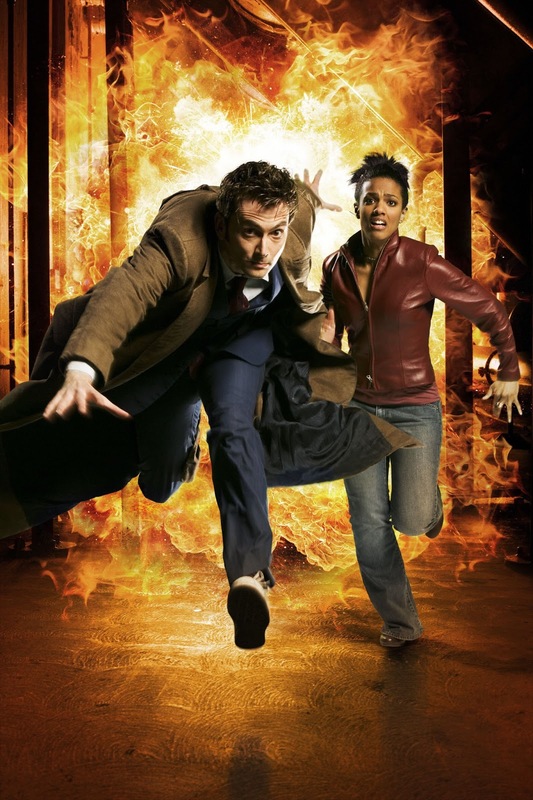 Unlike the previous issues it’s not an unseen image from the archive, but a cut out previously used in a composite picture used to launch series three with Martha Jones. The colour has been played around with too, so it’s not great reference material this time. Pity. 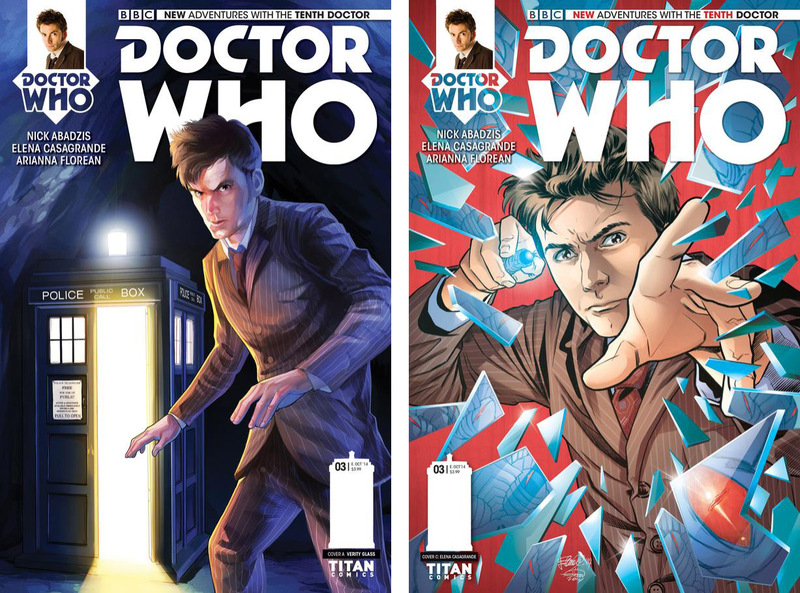 Titan comics first two issues of New Adventures With The Tenth Doctor gave us a couple of previously unseen portraits of The Doctor. 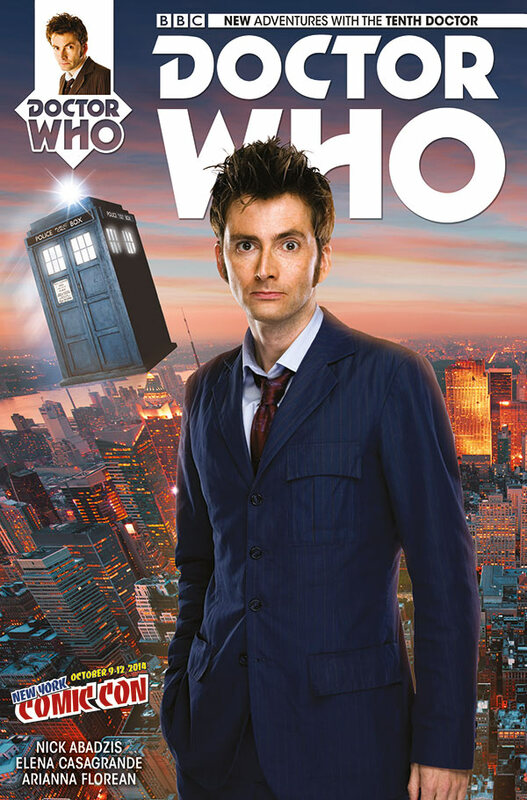 This month, to coincide with New York ComicCon, they are issuing a number of convention exclusive variant covers, including one for The Tenth Doctor. 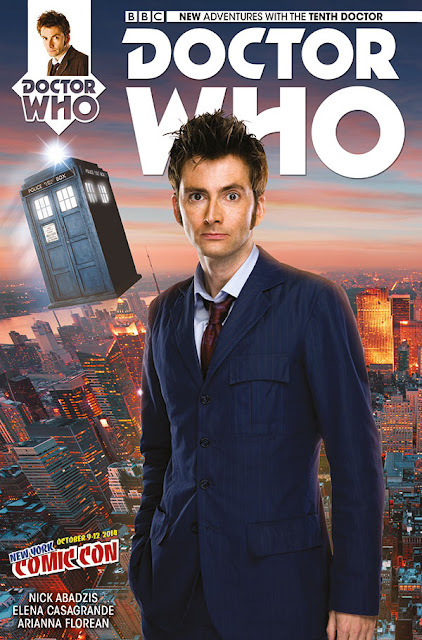 This exclusive cover uses a shot of David in his blue suit with the Nina Ricci tie from a round of publicity stills associated with mid series four. 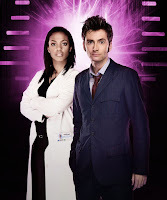 The specific image used was previously composited with a portrait of Frema to publicise The Sontaran Stratagem.